Home Bruno Mars Grenade Grenade Cover song Jose Cubil Jose Emmanuel Cubil PGT PGT Season 2 Finalist PIlipinas Got Talent Talent Show YouTube YouTube Sensation YouTube Video Jose Cubil's 'Grenade' Cover Song! Jose Cubil is really great in making his own cover version of the different hit songs! And song of these songs were my favorites or those songs which really play a great impact in my life! Another song is called "Grenade" by Bruno Mars. And you know that this song is my theme song to my 19-year old prospect?! Yeah, I learned how to sing it and I will sing it for her when we met again next Sunday! Do you think Jose Cubil has the potential to be the second "Pilipinas Got Talent" champion?! We hope! 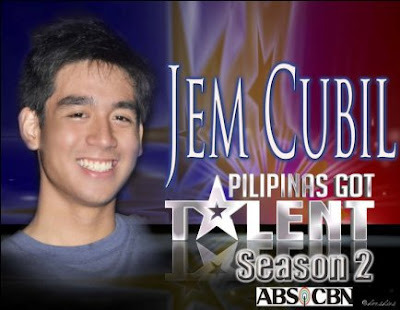 Actually I didn't yet seen him performing in PGT. I only watched and heard his song covers in YouTube! But definitely, he has the guts to be the next one!